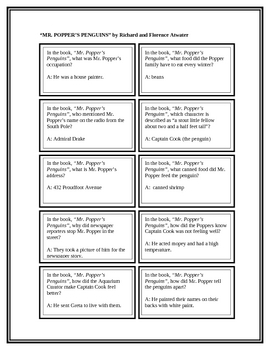 A set of 40 questions and answers for use in a Battle of the Books competition for the book, "Mr. Popper's Penguins", by Richard and Florence Atwater. There are two types of questions: there are 20 "in which book..." and 20 "In the book..." questions. 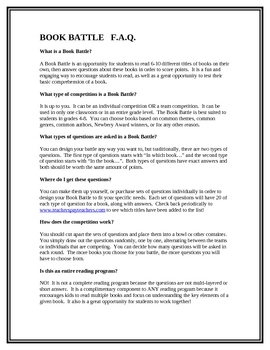 The questions are organized 10 on a page and are ready to copy and cut. 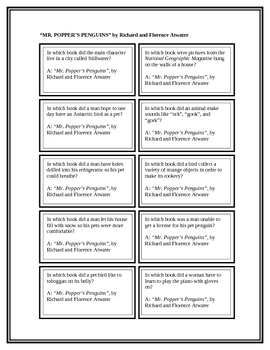 The answers are below each question.